Dave Bish at The Blue Fish recently recommended a free pdf that Mark Driscoll had made available on his study of Genesis. I’ve not read all of the book but based on everything I’ve read or heard of Mark Driscoll it will be theologically strong and personally challenging. Some people dislike Mark’s style as he can sometimes go further than most with his language, which makes another post by Dave Bish about the upcoming Desiring God conference interesting too. Mark Driscoll has been asked to talk about harsh and cutting language and whether it is biblical. The two YouTube clips below show both his and John Piper’s (who invited Mark to speak) views. If you are put off by Mark’s sometimes strong language listen to the John Piper clip. 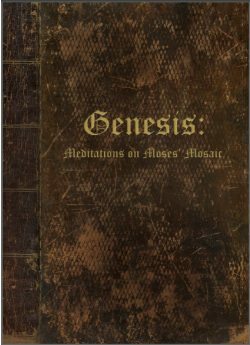 The book on Genesis is very well produced and you can print it off at home. You can also listen to the sermons that were preached at Mars Hill alongside the book at the Mars Hill Church website. Download the book by clicking here. Thanks so much for highlighting this…it looks like a really good survey! I agree that it looks a great survey, what is amazing is that this is not a proper book per se but a study guide for a series of sermons! It is very high quality in all aspects.